It also brings cherry blossoms, magnolias and flip flops. Does it get any better? I have the windows of my house flung wide today, letting in the scent of sunshine and Fraser Valley fertilizer. Fertilizer aside, it’s been a pleasant afternoon of dumping rainwater from my empty garden urns, pulling last year’s dried stalks from the lavender plants and inspecting the new (early!) growth of my chives. Spring things are beginning to happen everywhere; my bridal wreath spirea is sprouting feathery red bits that will soon burst into the hazy white veil it takes its name from, my hydrangeas are budding leaf pods and the bare tree branches, if you look very hard, are noticeably pregnant, ready to deliver any day now. I’m waiting for Spring with the anticipation and attention of a new mother. Spring, like the birth of new babies, just never gets old. Last week I took a little imaginary trip to Latvia. (Sorry, I went without you, it was quite unexpected.) To be honest, Latvia has never been on my radar before. Which is remiss of me, since its capital city, Riga, was the European Capital of Culture in 2014. Latvia is bordered by Estonia, Lithuania and Russia and is perched on the edge of the Baltic Sea, (more romantically known as the Amber Sea) in case you’re scrambling to place it on your mental map. It’s also one of the best Eastern European budget travel destinations ~ with all the history, charm and incredible architecture one might expect of a European Capital of Culture. But now that I’ve enticed you with Art Nouveau architecture and baby animals, let me show you the reason I ended up in Latvia in the first place. These girls! I chased their ethereal beauty to a Latvian luxury children’s clothing company, Aristocrat Kids, whose handmade dresses are inspired by fairy tales. This line is called A Royal Tale, featuring European vintage detailing and fine fabrics. If that doesn’t quite capture your imagination, perhaps the Royal Garden or the Magic Bird collection might? As lovely as those photographs are, I have mixed feelings about children in the fashion and entertainment industry. I loathe to think the unpretentious innocence that so captivates us, may be lost to our adult commercial pursuits. I dug long and hard through photo archives to find kids who didn’t look like they were modelling. I think that says something about the effect of projecting our fantasies upon kids. Beauty and privilege, even in story book form, shape our expectations of our lives and ourselves. That said, I’m still rather a sucker for fantasy. I’ve spent much of February on imaginary journeys to Suffolk, St. Petersburg, Paris & Latvia, filling my house with blush tinged silk roses from the craft store and making a paper mache princess cat via an enchanted online class with the lovely Laetitia of Merveilles Enpapier. I suppose there are worse ways to spend February than in fantasy land. And now comes March. An old friend and I, both who waited out the winter months in a fog of confused neurochemistry, wrote a little verse we’d chant in unison to encourage ourselves through to Spring. Keep marching. Only 22 days, 12 hours and 55 minutes until the official start of Spring! 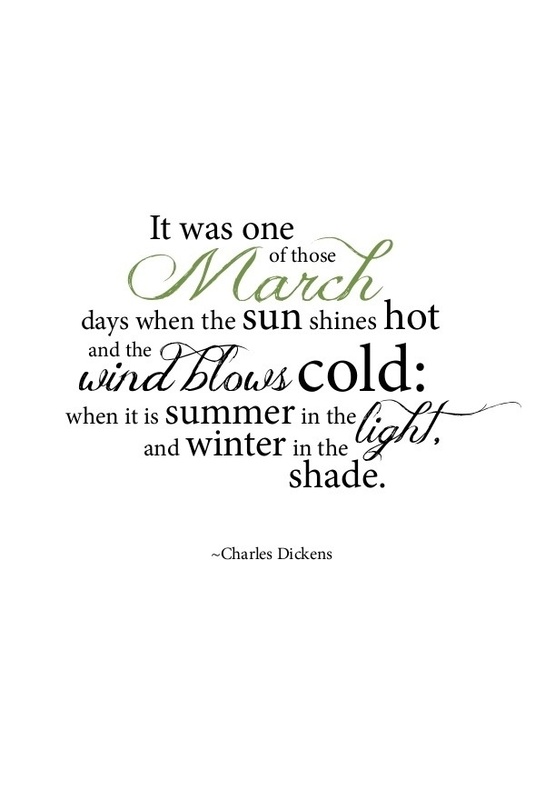 Yesterday was one of those March days that Charles Dickens so poetically describes. Welcome days that arrive smiling like a good friend, wrapping their warmth and hope all around you. There’s something so fresh and yet so familiar in the first warm day of the year. It looks like today may be the same kind of day, too. Hello Spring, old friend.